On September 18, 2018, the National Institutes of Heath (NIH) published an article in their news-feed titled "Fasting increases health and lifespan in male mice." I suspect the agency's regular reporting on what it deems discoveries and breakthroughs from experiments using mice might have something to do with NIH Director Francis Collins being a mouse vivisector. Be that as it may, whenever I see a claim about the benefits of caloric reduction or fasting based on experiments on animals, I'm immediately suspicious. There is no doubt that obesity is associated with morbidity, but the claims from vivisectors about extending an animal's lifespan through a lifetime of hunger always turn out to be suspect. Long periods of fasting between meals helped male mice live longer and healthier lives, regardless of the content of their diets. More studies are needed to confirm these results and understand how different fasting periods may impact health. More studies are needed... of course. Studies have suggested potential health benefits from long-term calorie restriction. In long-term calorie restriction, average daily caloric intake is kept below what is typical or habitual, but without malnutrition or deprivation of essential nutrients. Calorie restriction can be achieved through simply eating less overall, or through specific periods of fasting. 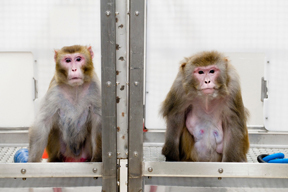 One decades-long study in rhesus monkeys found an extension of lifespan with calorie restriction. However, another did not. Differences between those two studies—including the type of food used—made comparisons difficult. Researchers from NIH’s National Institute on Aging (NIA), led by Dr. Rafael de Cabo, wanted to better understand if the type of food eaten, and when it is eaten, alters how calorie restriction affects the body. They divided almost 300 male mice into two diet groups. One group was given a diet low in sugar and based more on whole foods. The other group's diet was higher in sugar and more processed. NIH can't get its story straight. The two monkey studies referred to are the one at UW-Madison, started in 1989, and the one at National Institute on Aging, started in 1987. Over the years, the Madison vivisectors reported frequently on the great benefits they were seeing in the calorie-restricted monkeys. Then the NIA reported that they saw no benefit in their study. No benefit. They essentially said that the Madison scientists had no clothes. As one might imagine, the Madison scientists were embarrassed. It turned out that the NIA monkeys -- both the caloric restricted group and the control group -- were fed a nutritionally decent diet, while the Madison monkeys were not. The NIA diet was 4% sucrose while the Wisconsin diet was 28.5% sucrose. The Wisconsin group had actually demonstrated that, like humans, obese sedentary monkeys on a high sugar diet were more likely to develop diabetes and other ailments than are monkeys who eat less of the poisonous diet. Additionally, and as shown repeatedly in Wisconsin's PR photos, the monkeys in the control group were morbidly obese. Later, after laborious statistical contortions, authors of both studies reported in a joint paper that maybe there was some benefit to caloric restriction after all. Why the NIA group tried to save their Wisconsin colleagues reputations remains debatable; only they know the answer to that question. It is worth noting that still today, as seen here, the NIH is saying that the two studies had different results. Indeed. For much more on the colored history of this line of research in rodents and monkeys see Chapter 12, "Lo-Cal Immortality," in my book, "We All Operate the Same Way."